A lot has been said and researched on the Indian Luxury market and its potential for growth. Many international brands have ventured to tap this market opportunity which is projected to be growing at a CAGR of 20%. 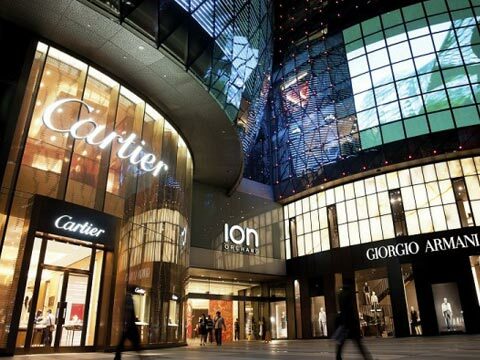 While most experts are still debating whether India is ready for luxury in true sense or does it have the potential to offer critical mass to various aspiring international luxury brands setting shops here, what is probably being missed out is the typical Indian mindset towards luxury consumption? Indian luxury consumption is driven by a middle class mindset rooted in a utilitarian view of life. While brand awareness about luxury brands amongst the affluent Indians is high, brand consciousness is still fairly low. The reasons for this gap are numerous arising from both the demand and supply side of the market. Luxury consumption in India is fairly low and sporadic even at income levels of 35lakh while some of the matured Asian countries like Japan and Hong Kong show a greater propensity for luxury consumption at a much lower income level of 15 lakhs. Serious luxury consumption in India starts only at an income of 50lakhs or more. The INR 15-35 lakhs segment is the fastest growing one with a great capacity to spend on entry level affordable luxury products but lacks the propensity to consume these products frequently. On the supply side, luxury retailers have restricted themselves to the big metros of Mumbai and Delhi with Bangalore being a distant third choice for their expansion plans. Today wealth creation is taking place in many Tier I and Tier II cities like Pune, Hyderabad, Ahmedabad and Coimbatore. So while demand for luxury products is increasing, there is no supply to service this demand. Absence of physical luxury brand stores coupled with low marketing visibility has kept penetration of luxury labels low across India. Luxury brands need to deal with the challenge of converting these nibblers who often straddle with a ‘middle class mentality’ to frequent purchasers. In today’s era of digital India, we don’t see real estate infrastructure and limited physical distribution channels as big impediments on the supply side. Marketing of luxury products especially online continues to be a challenge in India. The concept of luxury products and especially the brands that mark these are not very well known across social boundaries and income classes. The buying habits are still in formation. The consumer is evolving and it will be a while before the market matures to the levels of European or affluent south East Asian ones. While consumers are comfortable shopping for regular consumption brands, they don’t want to risk experimenting with expensive products and categories online. For instance clothing as a category emerged as the favourite pick of the affluent online shoppers surveyed by Luxehues.com, but most of them shopped for fashion clothing for regular use rather than occasional wear. When buyers have easy access to retail stores, they prefer to shop for occasional wear at the store that provides the look-and-feel experience. Affluent consumers prefer to buy online only familiar brands that they have experienced before. Given the low penetration of luxury labels outside key metros, lack of familiarity and desire for look-and-feel experience come across as big impediments. Only a handful of premium lifestyle brand names enjoy top of the mind recall amongst online affluent shoppers. Gucci, Guess, Da Milano, Calvin Klein, Dior, Tommy Hilfiger, Zara, Forever 21, Forest Essential and Good Earth are few of the popular brands that are bought online. While the universe of affluent Indian households is pegged somewhere at about 3 million who can be considered as potential consumers, the number of premium and affordable luxury brand names that these consumers are familiar with are too few. Given the conservatism of Indian luxury shoppers, there is much work to be done on the supply side to provide enough options and avenues to the buyers to choose from. In a country where the badge value of the product is far more important, it remains to be seen how premium and affordable luxury labels manage to deal with the Indian mindset of buying a brand that is ‘identifiable’ rather than buy a brand that they ‘identify with’. Respondents had several reasons for shopping premium and affordable luxury products online with convenience and value being the biggest reasons. But once consumers land on a website with the intention to shop, they have few guiding principles to make their choices at the e-store like quality assurance and brand popularity. A know brand name in India is easily associated with assured quality while finer details of design and craftsmanship are yet to become the primary drivers of desire. Thus brands foraying to reach out to a larger base via the online channel cannot get away from the fact that they too need to invest in building their brands via marketing visibility and content platforms. While the younger generation from affluent households is quite adept at shopping online, this lot mostly splurges on value fashion wear. On the other hand, the slightly mature consumer from the same household, who is an ideal luxury buyer, prefers to opt for the touch-and-feel experience at the store when shopping for very personal items like occasional wear, expensive jewellery, high end bags and shoes or big furniture items for the house. For premium and affordable luxury brands that are available at a slightly premium price as compared to the mass affluent category, the general perception is that online stores probably do not sell authentic products sourced directly from the brand. Online purchase is still perceived as somewhat risky and cumbersome especially if high value items need to be returned and unlike stores, this creates a trust deficit. Thus luxury brands need to guarantee authenticity via online tools when selling online beyond their brand stores. Given the reach provided by online channel which when combined with the profile of today’s online affluent consumer makes affordable luxury segment a very promising one. Affordable luxury segment today offers the single largest opportunity for growth. Going by the responses from the consumers one could infer that even as online buying was still largely rooted in value and affordability, there are opportunities for affordable luxury product players provided that they can meet and match consumer needs and demands, especially for online transactions. The relative lower interest in buying very high end products demonstrates that even as a bulk would not be paying luxury premium and for quite some time, there are opportunities in the mass premium and mass affluent segments [ middle to upper middle classes ] or in general, the mass luxury segments of the market. Categories such as apparel, fashion jewellery, watches and selected accessories are likely to be favoured by consumers. Home decor items eg furniture, carpets and upholstery are promising given the rise in up market residential properties. Mass luxury products may augur very well for online players especially in the personal shopping arena. The nature of consumption and the demographics of future online buyers suggested that they would be looking for strong brands, reputed labels that were cutting edge in the arena of mass luxury in any category. The article has been contributed by Luxehues.com , a premium online lifestyle portal with over 250 global brands. The article is based on a survey of 150 affluent consumers across key cities in India in Nov 2016 to understand the barriers on the demand side.